Preview: A list of 10 apple videos from YouTube that are perfect for teaching kids about apples. Apples are such a fun topic to teach about in the fall. Depending on where you live, you might be able to visit apple orchards and watch the life cycle of an apple in real life. If you aren't in an area where that is possible, try showing some videos to teach your students all about apples. These ten apple videos on YouTube include nonfiction videos and books, fiction books and more that teach about the life cycle of the apple. This video shows the process of how apples get to the grocery store so that we can buy them and enjoy them. 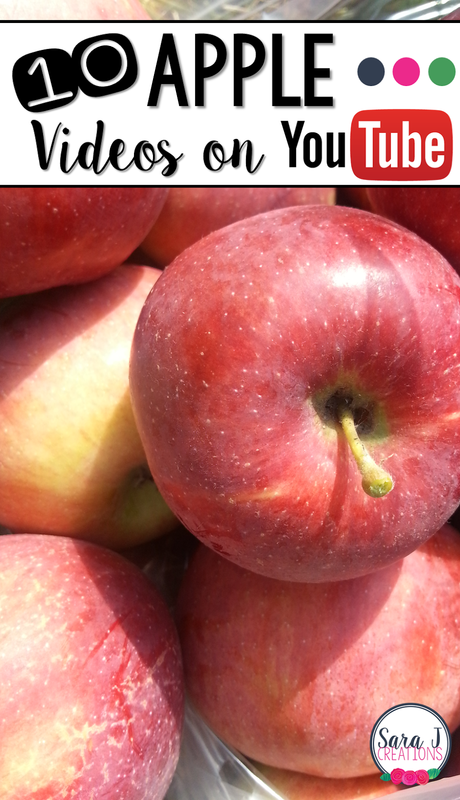 Real kids ask questions to an actual apple grower in Pennsylvania and get their answers. This is a short wordless video that shows the life cycle of an apple tree just through pictures/video. This video is by a family that farms apples in Colorado. They discuss growing apples and the apple life cycle. They also talk about organic farming. This one goes in a little more depth than some of the others so it might be better for older children. In this 5 minute video, we learn about grafting and the process it takes to make sure that the right type of apple is grown since planting seeds doesn't guarantee a certain type of apple. This is part of a whole series that includes other fruits and vegetables. The following are picture books that are recorded as they are read aloud. This is a nonfiction book that teaches about the life cycle of the apple. This is a fiction story but it is informative and teaches about the life cycle of the apple tree and the steps of making an apple pie. This is a funny read that is a counting story that rhymes. It isn't really informative about apples, just more of a fun apple book. Gail Gibbons always has great non fiction books that are really informative and detailed, yet kid friendly. This one gives the history of apples in America, references Johnny Appleseed, teaches about the life cycle and discusses different products made from apples. This tells the story of John Chapman who headed out west planting apple seeds as he went. He eventually became known as Johnny Appleseed.